Little Bug stopped over for a visit. 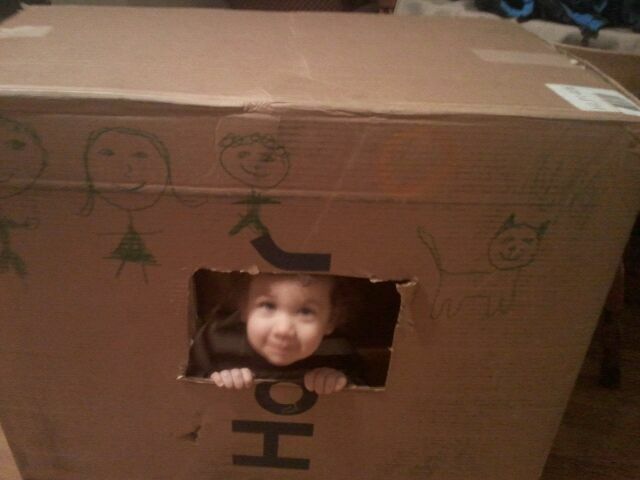 We had a great time building a play house from a large box. Then Little Bug changed the baby dolls diaper. He is working on potty training and wanted to help the baby. What a cutie he is. We played so much today that grandma is all tuckered out! I hope you all enjoyed your day as much as I have. Sounds like a fantastic way to get all tuckered-out! 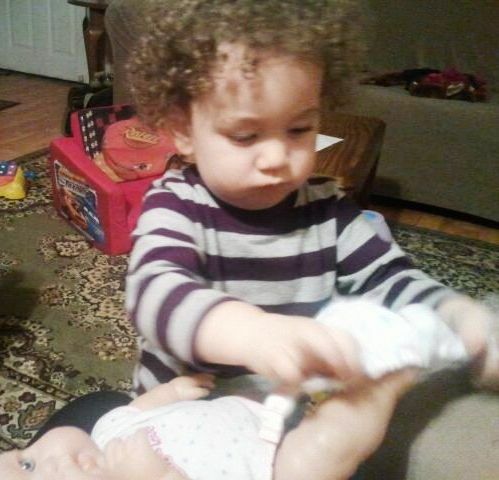 he looks so cute changing the baby's diaper...makings of a great Dad! 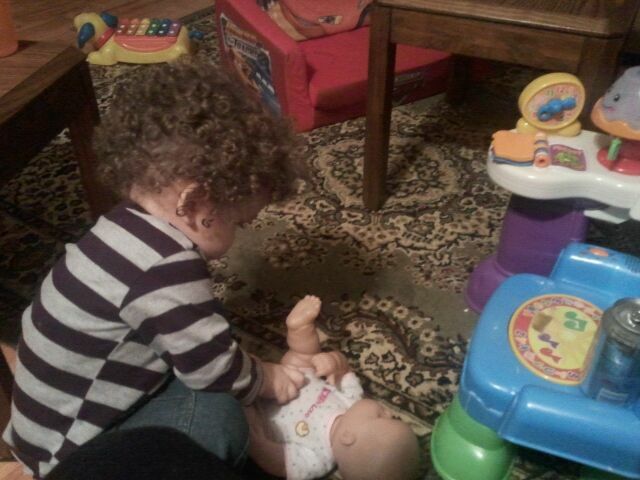 He is so cute, I just want his curls so bad. I understand being tuckered out. I stay that way these days. The play house is such a great idea!!! Little Bug looks adorable peeking out of that house! Building things out of cardboard boxes must be going around! Hubs got a new office chair and Little Bit re-purposed it into a slide. He also turned Hubs fishing pole tube into a car launcher. Aren't they just so much fun? CUTE! Boxes are really the BEST toys ever!